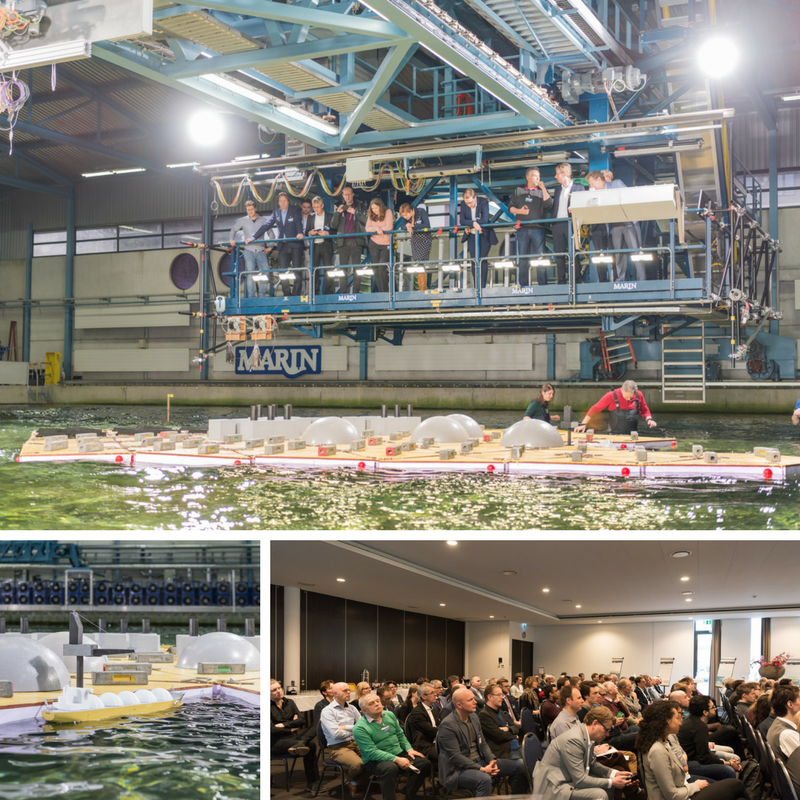 In March, ICE’s representatives Coen Landa, Business Development Director and Gheorghe Iorga, Senior Engineer, attended a seminar in Wageningen, the Netherlands focused on Food, Energy, Logistics & Living on Floating Mega Islands. The event ended with a visit to the MARIN offshore tank to witness tests of an irregularly shaped model (picture) in the “hundred-year” wave (significant wave height of 15.6 m). ICE is a partner in the European project Space@Sea funded by EU’s Horizon 2020 research programme.